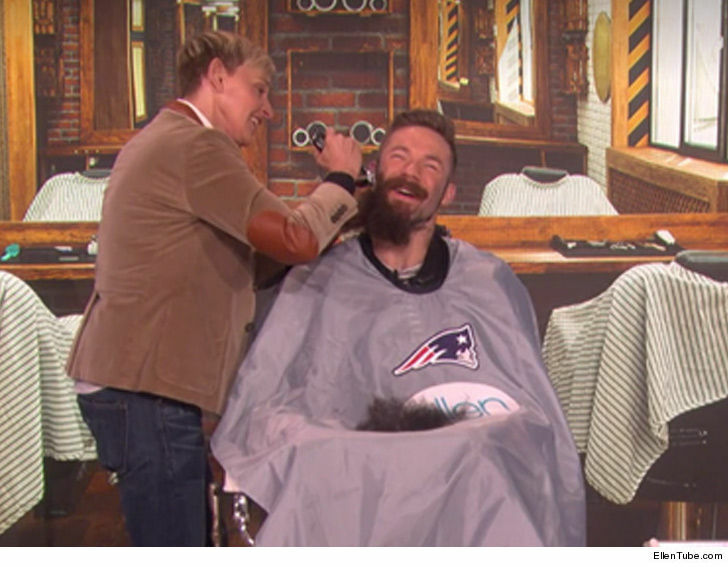 Home TV Julian Edelman Gets MVP Beard Shaved By Ellen DeGeneres! 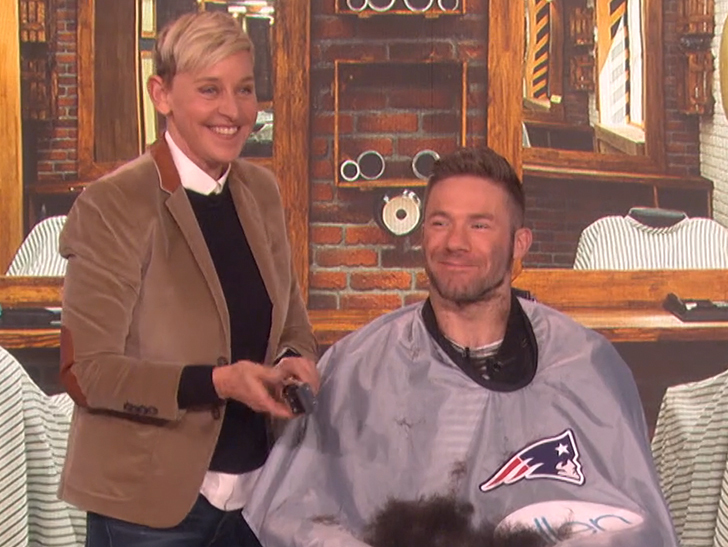 Julian Edelman parted with his legendary playoff face warmer this week — and the person wielding the shears was none other than Ellen DeGeneres! The New England Patriots superstar grabbed the Vince Lombardi Trophy and dropped by Ellen’s show to talk about being named the MVP of the Super Bowl … when things got a little hairy. Ellen revealed a pop-up barbershop on her set, sat Jules in the chair and got her trim on … and she actually did a pretty good job! Edelman had been growing out the face fuzz as a thing pro athletes do in the playoffs — and if you know anything about pro athletes, they’re VERY into superstition. In Edelman’s case … it worked (it also helped that his QB is Tom Brady). Oh, also … turns out Edelman’s pretty good looking under all those whiskers.